Mushroom and Bacon Beef Burger with seasoned French fries. Handcrafted beef burgers with fresh sautéed mushrooms and bacon slices. Served with seasoned French fries. 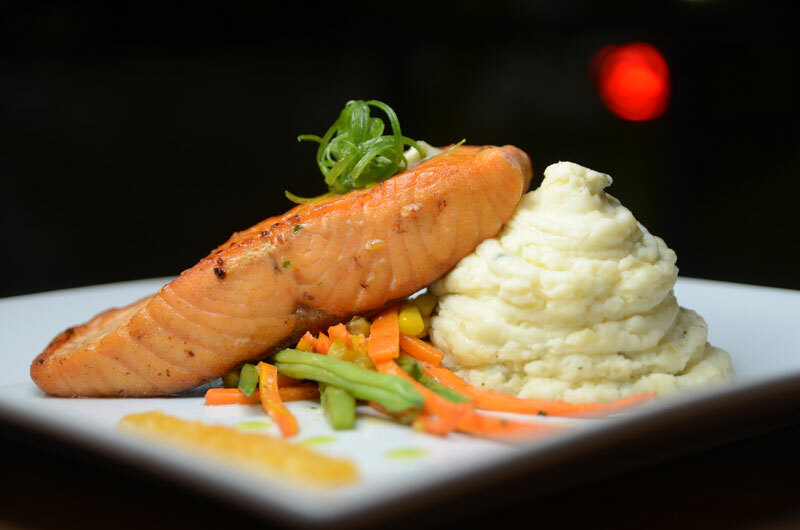 Seared Salmon with a rosemary garlic sauce and served with garlic mashed potatoes or french fries and sautéed vegetables.